When forehead lines or crow’s feet make you look and feel older than you are, it may be time to consider Botox®. Dermatologist Timothy Gardner, MD, of Dermatology Consultants of Gloucester in Gloucester, Virginia, is an expert at Botox injections, providing patients with a natural appearance while diminishing facial lines and wrinkles. To learn how Botox injections can take years off your face, contact the practice today. Call to schedule your appointment or use the online booking tool. Botox Cosmetic contains botulinum toxin, a purified neurotoxin that can be safely injected into facial muscles in tiny amounts (less than one-one thousandth of the toxic doses), where it causes a very localized weakness limited to the treated muscle. This relaxation effect improves wrinkles that excessive or repeated muscle contractions cause. Botox almost single-handedly started the revolution in cosmetic dermatology. Although it has existed since the late 1970s, its earlier uses were limited to selectively weakening muscles around the eye for the medical conditions of cross-eyedness and eyelid spasm. 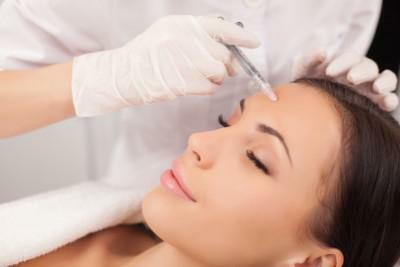 In the late 1980s, an astute ophthalmologist and her dermatologist husband, Jean and Alastair Caruthers, discovered the potential of Botox for treating frown lines between eyebrows. Since then, Botox Cosmetic treatment has evolved into the number one cosmetic procedure performed worldwide. What happens during Botox injections? Botox injections are performed without anesthesia because they’re virtually painless. Only a very small sting is felt when Dr. Gardner precisely injects the tiny needle into the targeted muscles to achieve the desired results. While Botox quickly minimizes wrinkles, the effects are not permanent and may need to be repeated two to three times per year to retain results. Research has suggested, however, that long-term use of Botox leads to a longer duration of each treatments effect. Patients over the age of 65 may not experience as dramatic of results. Botox Cosmetic is only useful in treating expression lines and cannot be used to repair sagging skin aging causes. After the procedure, you may experience slight bruising around the area that quickly fades. Normal activities can be resumed immediately. Possible side effects are a temporary weakness of nearby muscles, or in rare cases, an eyelid may droop. Botox Cosmetic is completely reversible, so any side effect is only a temporary condition. Overall, Botox Cosmetic is an extremely safe and effective treatment, explaining why it is the #1 most performed cosmetic treatment in the world. To say goodbye to forehead wrinkles or crow’s feet, get started on Botox injections today. Call Dermatology Consultants of Gloucester to schedule an appointment or use the online booking tool.